We're only a couple of weeks from Easter and with each passing day the weather gets a little bit warmer and sunnier. And with many getting a long weekend off of work or school to celebrate Easter, it's a perfect time to plan a weekend trip to Pawleys Island! The Litchfield Company offers you tremendous Pawleys Island vacation rentals at our three partner resorts: Litchfield Beach and Golf Resort, Pawleys Plantation Resort and True Blue Resort. Make plans for an Easter trip to Pawleys Island today and enjoy beautiful accommodations and lots of Easter family fun! On Saturday, March 31st families can attend multiple Easter egg hunts and celebrations around the Pawleys Island area. Just up the road from our partner resorts, the Hammock Shops Village will host an Easter egg hunt from 10 AM to 12 PM. In addition to the search for those coveted eggs, kids are sure to enjoy face painting, balloon shaping and even meeting the Easter bunny! Or if you're headed towards Georgetown, guests can enjoy the Annual Easter Egg Hunt and Parade at the Kaminski House Museum. The parade will stroll down the boardwalk area at 11 AM and the egg hunt will commence within Rainey Park and along the lawn of Kaminski House at 11:30 AM. And just in case you have morning plans and can't make either of these fun Easter events, the town of Surfside Beach will host an Easter egg hunt and kids fair that day from 1 PM to 4 PM. Surfside Beach also will host a sensory-friendly Easter egg hunt from 10 AM to 11 AM at Passive Park. The following day, guests are invited to enjoy an Easter Sunday buffet at Coastal Dish Lowcountry Dining, located along the courtyard near the front desk and Starbucks at Litchfield Beach and Golf Resort. We recommend calling 843-235-5516 to reserve your table in advance as the tempting menu is likely to draw a large crowd. Diners will be treated to an all-you-can-eat buffet featuring she-crab soup, a prime rib carving station, honey glazed ham, herb roasted chicken, mahi with lemon butter, a tremendous selection of side dishes and a full salad bar. The cost is $24.95 for adults and $14.95 for kids. The service will run from 12 PM to 3 PM and should provide friends and family with a great opportunity to bond and share a special moment during their Pawleys Island vacation. Easter may be right around the corner, but there's still time to plan a weekend trip to Pawleys Island with the properties of the Litchfield Company! 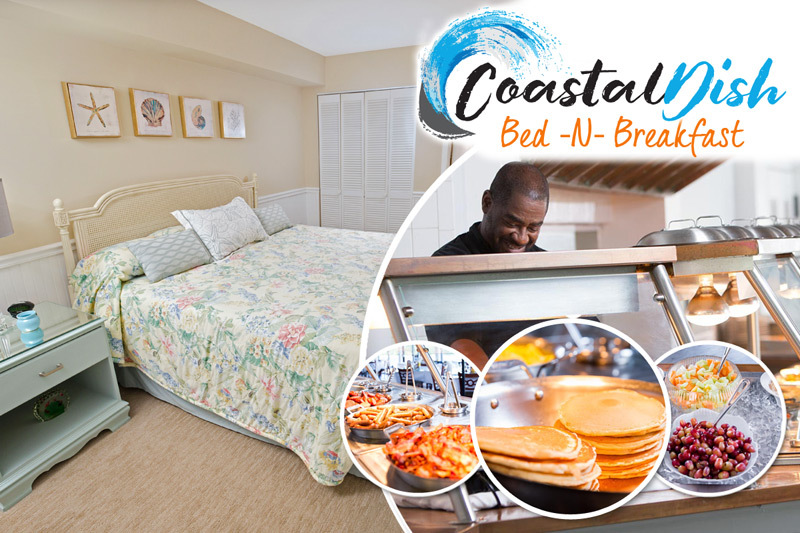 Whether it's a huge Pawleys Island beach house with Litchfield Beach and Golf Resort or a cozy suite along the golf course at Pawleys Plantation Resort, we've got your perfect accommodations at the best prices around. Book your Pawleys Island vacation rental today and enjoy your Easter along the beautiful South Carolina coast!